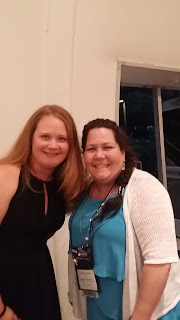 Amy is a RITA Finalist for Ransomed Dreams, President of my local ACFW chapter, a self-confessed chocoholic, and all around great gal. She is a contributing author of several books, including God Answers Moms’ Prayers and Chicken Soup for the Soul Healthy Living Series: Diabetes. Amy is a homeschool mom and lives with her husband and three children in Georgia. Sign up for Amy's Dark Chocolate Suspsense newsletter on her Heart Chocolate website. Read Ransomed Dreams first chapter! Read Healing Promises first chapter! Ransomed Dreams clinched my heart strings and introduced me to the characters in Healing Promises. Now, my heart is wrenching for Clint and Sara, on a different level. Amy manages to take us from the point of view of Clint who's dealing with cancer, to his wife Sara, who's struggling to help him and balance everything else in life - and feeling like she failing at every turn. Then we're shifted into the mind of a madman who's preying on precious children. I literally shivered reading some parts of the serial killer's scenes. We're living with the experience of cancer through Clint. Has the author gone through this herself? I don't think so, but if I'd read this book and not known Amy at all, I'd definitely wonder. I'm half way through the book, wondering if Clint is going to survive this illness. What's the author's will for him? It's like wondering what God's will is for us. Look around you. What are your friends and family going through? Why are certain people aflicted with certain illnesses? Especially the ones who appear to have taken such good care of themselves. We've all known some health nut who develops cancer. Why? This is Clint. In Healing Promises, Sara is an oncologist. She treats people with cancer. Some of her most beloved patients have died. Some with a close relationship with God. Sara doubts God, questions Him. Will He save her husband or will she be attending his funeral, too? And through her eyes, we get the feeling, she expects to be a widow one day. I can't give you the end, but I wouldn't even if I was there yet. I will tell you Amy Wallace delivers on another powerful, faith filled novel. You're chasing child predators with the FBI agents and praying for a miracle right with the family battling a sometimes terminal illness. Healing Promises is another book you'll want to add to your bookshelf. Now, run over to F.A.I.T.H. and leave a comment under the Friday post when Amy was our guest blogger. Leaving a comment will enter you to win her latest book Healing Promises and RITA nominated Ransomed Dreams. Wow, Christy! Thanks so much for this in-depth look into Healing Promises. It makes my heart smile to hear your insight into the characters and the story. You're correct that I haven't experienced cancer in my body. But I've mixed my tears and prayers with my mom and some very dear friends who've allowed me to walk with them in their cancer journeys. It's been a painful but amazing walk that's stretched my faith beyond the breaking point and yet pointed me back to Him through the lives of these incredible people. Thanks so much for being part of the Healing Promises blog tour! I've enjoyed seeing this story through new eyes.